Comments: Male and female flowers on seperate plants, as is the case with hollies. Female plants produce an abundance of clusters of red berries that persist through most of the winter before being eaten by birds. 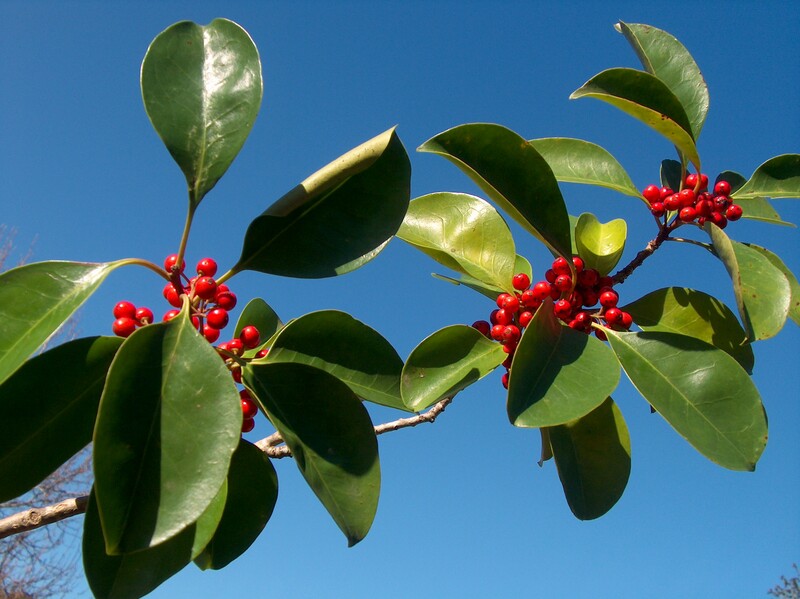 The evergreen leaves resemble those of ligustrum and fall from the tree in late winter. It has survived temperatures below 10 degrees F., but suffered damage below 20 degrees F. It is almost pest free.